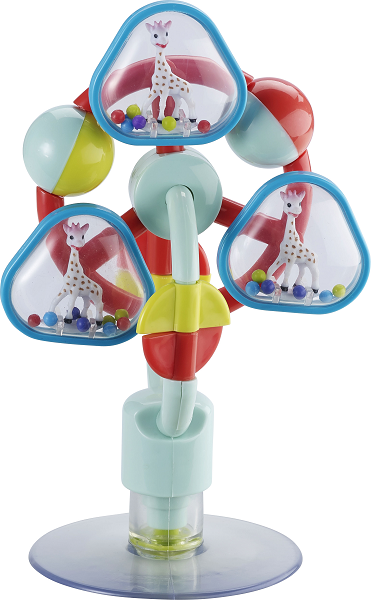 An early learning toy with a wide super-suction pad to keep your baby busy! Stick to any flat surface to allow your little one to have hands-free access to all the moving fun parts. It turns, it rotates and has multi coloured spinners, but best of all are the three sophies, each conatined within their own ball filled spinning chambers!